Run MED/MD MED is an advanced treadmill by Technogym that is suitable for use in both medical as well as at the clubs. Med products have been developed to provide accurate tools for stress testing, assessment and rehabilitation purposes. It uses gas-assisted technology for offering axillary support. It adjustable handrails offer a firm and ergonomic support to users of all sizes and also enable different positions. Run MED/MD MED is loaded with a application Cardiomemory for the detailed analysis of client aerobic capacity. This machine is also compatible with the Bike Med. The latest cost of Technogym Run MED/MD MED Treadmill will be updated soon. *Note: Most of the sites, stores or shopping portals listed above sell Technogym Run MED/MD MED Treadmill with discounts and other exciting offers. 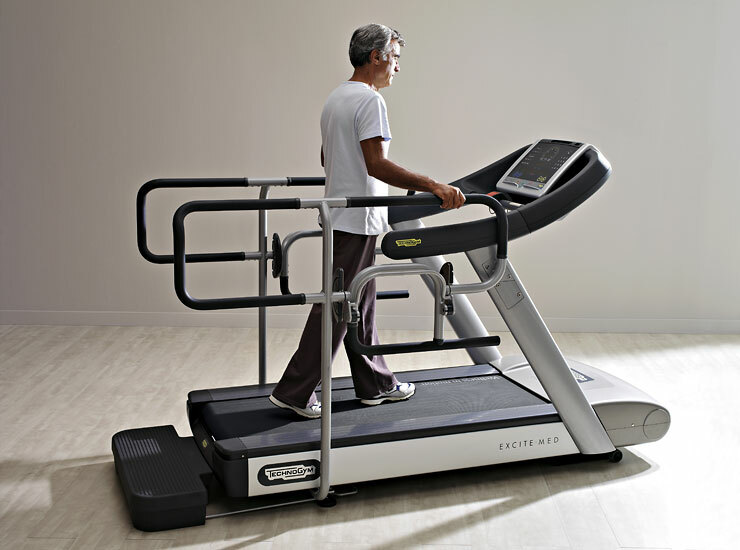 There is a possibility that the some of above websites are not selling Technogym Run MED/MD MED Treadmill now. Toughtrain.com is not liable for such cases or instances. Also we do not recommend any seller for Technogym Run MED/MD MED Treadmill and a buyer should buy from where he/she gets best deal with quality of products, service and on time delivery (shipment).